Hubby's on his computer and the girls are swimming so I thought I'd take a minute to check out the blogs. Today has been such a great day. We shopped for a short time this morning and then we took a drive out to Cades Cove up in the mountains. The weather was beautiful, although a bit nippy! I've got some pics, I'll try to post soon. Then this evening we went to Dixie Stampede. If you've never been, you should check it out if you get the chance. It's a dinner and show. Lots of fun and the food is really good. Anyway, it's been a great day and a great year. Happy New Year to all of you from me and my family!!!! The girls are upstairs getting ready and I'm downstairs in the diningroom catching up for a minute on my blogging. We had a good time yesterday. We saw some beautiful mountains and streams and had some fun shopping. Today we'll probably hit an outlet mall for awhile. Yesterday we took a drive through Gatlinburg (we'll actually spend some time there probably tomorrow or Thursday) and then we drove around the By-pass and stopped at some overlooks and took some pictures. Thought I'd share a couple of them with you. Well the girls are down here eating now, so it's time for me to shut this down. Have a good day. I'll probably check in later while the girls are swimming. I'm having problems with either Blogger or Cutest Blog on the Block or the computer I'm using. My background isn't showing and since I have light colored lettering you can't read it. So, at least temporarily, I've changed to this Blogger template. Not necessarily pretty, but you can read it and I guess that's the point. Anyway, we're having a good time here in Pigeon Forge. We're getting ready to head out to do some shopping. It looks like a beautiful day. We got here yesterday around 6:30-7:00pm and it was 52 degrees. Wow, I love it when it's like that. Just a hoodie and you're set to go. I hope to get some great photos, cause the skies are beautiful and you can't say enough good about how great the mountains are. God is so good to give us this beautiful country!!! Have a great day and I'll talk to you soon! In a previous post I said that my prayer for 2009 was to do this verse. Psalm 25:5a "All day long I put my hope in you." I believe if I do that, instead of depending on myself, I can't help but stay in His plan and perfect will for my life. 1. I got to sleep in. I got up around 8:00am. While that's not really late, it was when I woke up on my own and not with an alarm clock. That is always good. 2. I spent some time doing a Bible Study about joy and found some really good stuff. I mentioned some of what I found in the previous post. 3. We went to Red Lobster for lunch. I had shrimp and it was really good! 4. My daughter got a lot of books for Christmas this year. One she got was Tilly by Frank Peretti. I had read this book many years ago, but couldn't exactly remember the story. I borrowed it from her this afternoon and read it and it is so good. It's sad and sweet, but most of all it reminds me how much God loves us and He forgives us for the mistakes we make. God is so good and merciful. If you get a chance, read Tilly. It's very short, but very good. 5. Santa brought our family the game of Life for Christmas. We just played and it took us about 2 hours to play. Hubby won (as usual), KLS came in second and KJS and I tied for third place. Oh well, it was fun anyway!! 6. Now I get to blog and read or watch TV or whatever! Definitely my kind of day. I love this vacation so far!!! These verses came up in my Bible Study this morning and they meant a lot to me. Psalm 25:4-10 NIV. You know how you can read a verse and it seems like you've never read it before, even though you know you have. That's what it was like with these this morning. I really hope to remember the last part of verse 5. "All day long I put my hope in you." I believe if I do that, instead of depending on myself, I can't help but stay in His plan and perfect will for my life. 4 Show me the path where I should walk, O LORD; point out the right road for me to follow. 5 Lead me by your truth and teach me, for you are the God who saves me. All day long I put my hope in you. 6 Remember, O LORD, your unfailing love and compassion, which you have shown from long ages past. 7 Forgive the rebellious sins of my youth; look instead through the eyes of your unfailing love, for you are merciful, O LORD. 8 The LORD is good and does what is right; he shows the proper path to those who go astray. 9 He leads the humble in what is right, teaching them his way. 10 The LORD leads with unfailing love and faithfulness all those who keep his covenant and obey his decrees. If you get the chance, read the whole chapter. It's really good! Check out this poem I found here. In the morning I’ll starve… ’til I take that first bite! We had a great dinner last night for my work. We ate at an Amish style restaurant in a nearby city. There were about 35-40 people in our group. I was very pleased with the turn-out. Plus it was really easy on me. Usually, we have to decorate and buy supplies and then clean-up afterwards. This year it was super simple. I just had to make a call to the restaurant and put up a sign-up sheet for people wanting to go. Then when it was done, I could just go home. No work, no worries! Now that is my kind of Christmas dinner. Plus the restaurant was decorated so pretty and the food was really good. We had a whole section to ourselves. Their regular crowd was really down because it had gotten a little icy outside. But we all made it safe (except we had one that fell and tore her coat, but I think otherwise she was okay, maybe a sore knee). Now we're headed out to finish up some last minute shopping. Mostly just stocking stuffers and then it's on to my mom and dad's house for Christmas Eve. I always love going there on Christmas Eve. It brings back so many memories, plus there's always great food. We all bring in some stuff. I feel like a little kid because I can't wait to get there!!! Well all, hope you have a very Merry Christmas Eve!!!! Well it's official now. Work is over and the Christmas Dinner for work is over and I'm on vacation. Yeahhhhh! I'm in my comfy warm PJ's and ready to settle down for a long winter's nap. Well as soon as I watch House Hunter's first.!! Don't You Just Hate It! Don't you just hate it when you have to get up and get ready for work and everyone else is still in bed! Well, that's what happened to me this morning! The girls are on Christmas break and hubby slept in a little later than normal. He didn't go into the office (nice being a pastor and getting to decide whether to go to the office or work from home). Although he did do a hospital visit. In fact, the girls went along with him and then he took them out for lunch. Huh, they got to eat Chinese and momma had to pack her lunch for work. Hmmm, somehow that just doesn't seem fair. Then he let them go shopping. I must say, their day sounds a lot more fun than mine. Then when I came home from work, the girls are in the new warm fleecey PJ's they got from a darling lady at church yesterday and sitting and watching Jon and Kate plus 8. What a life!!!! In fact, it's just the life I intend to live after one more day of work!!! Yeah I'll be on vacation after 1 more day until January 5th! Can't wait. One of my favorite Christmas memories is when KLS was 5 and KJS was 2. The whole family went to Grandma and Grandpa's (my mom and dad) house on Christmas Eve, like we do every year even now. The grand kids are always so excited and can't wait to open gifts. They about die every year, because they have to wait until after everyone eats supper before they can open their gifts. My sister delights in eating as slow as she can, so she can torture them with having to wait even longer. That year KLS was so excited when they started passing out the gifts. She'd open a gift and exclaim over it and then she'd say, "I want another one, I want another one." I don't think she'd ever seen so much stuff. Over and over she'd ask for another one. We have it on video and we all like to tease her about it. KJS was excited too, but she was only 2 and really didn't understand it all and would just take her time opening her gifts. I think KLS is kind of embarrassed now about doing this, but maybe in some ways she had the right idea. I think God would like us to be like KLS and be that excited about receiving the gifts He's given to us. We should be so excited when we receive the gift of His Son, that we'd say I want another one or I want more of You and what You have for me. Maybe that's why He says we need to receive Him like a child. We should be so thrilled to receive Christ and all He has for our lives; like love never-ending and peace that passes all understanding. Lord I pray that you will make me more like a child wanting all of You. I saw this on Sara's and Mama Belle's blogs and thought it looked like fun. 1. Egg Nog or Hot Chocolate? – Hot chocolate definitely. Instant or homemade. I love them both. 2. Does Santa wrap the presents or just sit them under the tree? – They are wrapped. 3. Lights on house / tree are colored or white? – Colored! 4. Do you have mistletoe? – No, but I want to get some. 5. When do you put your decorations up? The weekend after Thanksgiving usually, but we started early this year, but left the blinds drawn so only we saw them and not the neighbors til after Thanksgiving. 7. Favorite Christmas memory as a child? – Trying to sleep, but being too excited on Christmas Eve. 8. When and how did you learn the truth about Santa? – Can't remember. 9. Do you open a gift on Christmas Eve? – At my mom's house yes, but we wait til Christmas morning at home. After all, Santa doesn't come til then. 10. How do you decorate your tree? – I pick out the ornaments and put the hooks on and the girls place them on the tree where they want them. 11. SNOW. Love it or dread it? – If I can stay home, I love it. If I have to work, I hate it. 12. Can you ice skate? – yes, although it's probably been 15 years since I tried. Sooo, maybe not. 13. Do you remember your favorite gift? – Not really. I love anything that someone takes the time to give me. 14. What is the most important thing about Christmas to you? – Spending time with family and remember Jesus. 15. What is your favorite holiday dessert? - Chocolate Chip Cookies and Laweb candy and Buckeyes! 16. What is your favorite holiday tradition? – We read the Christmas story from Luke on Christmas morning watching Christmas movies together. 17. What tops your Christmas tree? – An angel. 18. Which do you prefer, giving or receiving gifts? – Giving without a doubt. 22. Do you attend an annual Christmas party? – We have a Christmas Dinner at Church each year and I attend a Christmas Dinner with my work. 23. Do you usually dress up for Christmas Eve or wear PJ's? – We go to my mom's, so I kinda have to be dressed. But it's very casual, just not PJ casual. 24. Do you own a Santa Hat? – No, but my girls do. In fact, my 17 year old wore hers to school today. 25. Who do you normally spend Christmas with? – My parents and brothers and sisters families on Christmas Eve, Christmas morning, just us at home and Christmas afternoon with my husband's parents and brother's family. 26. What is your favorite Christmas decoration and why? – The tree. Just because I think it's always so beautiful and my light up houses and churches for the same reason. Actually I like them all. Hard to pick a favorite. Sure would like to see some more of you doing this meme. Have you seen these Holiday Specs? I decided to try to take a picture using them. See how they turn each light into a Christmas Star? Isn't that the coolest thing? They have them that turn them into snowflakes and other designs too. I think we got them at either Home Depot or Lowes. I just think there fun. If you double click on this smaller picture you can then zoom in and really see the stars. It is so cool. As you can see, it doesn't take much to entertain me some days. The Monroe, Ohio First Church of God did their 3rd Annual Bethlehem Village. We visited Sunday night and had such a great time. The first thing you do is watch a 2-3 minute video that explains what you will be seeing and doing. Then they take you outside and you have to register with the Roman Census Takers. Then you are given some money (denari, shekels, mites, etc) that you can spend in Bethlehem. There is an apothecary, pottery maker, butcher, cheese maker, bread, fruit & nut stand, tannery, carpenter shop, etc. There were characters in each of these to interact with and you could buy stuff from them. I bought 2 nails made into a cross from the blacksmith. We got to sample wine (grape juice) from the winery and goat cheese and fruit and nuts and bread & butter. They had chicken and lamb (just small samples of each of these) Anything you bought you had to use the money they gave you. There were people walking through the village with animals such as goats, cows, lambs, and a Jerusalem Donkey. There are Roman guards walking around and they tell you to keep moving and when you interact with the characters on the street a Roman guard may try to see if you were talking about the promised Messiah. There were characters in different places that wore a Jewish Star and they were the ones that would share with you about the Messiah and other prophecies that they believed would be coming true soon. Then at the end you would see the Nativity with Mary and Joseph and a live baby Jesus and some more animals. Everything was so neat. It's hard to even explain it all. At the very end you would go to the Fellowship Hall and they had free coffee, hot chocolate and cookies for everyone. This whole event was without charge. It's just one of their ministries. It really was a fun evening for all of us. Below are a few pictures I took. They are not of the best quality because we went after dark, but I hope you'll get the idea. Welcome to our home. I'm participating in BooMama's 2008 Christmas Tour of Homes. I hope you enjoy. If you want to tour other homes, please be sure to click on the link above. Here's our tree and in the 2 pictures below you can see the lights. In these two you can see the lights a little better. Here are some of the special decorations I love, hanging on some Shaker Pegs. See our countdown Santa on the shelf. Our youngest daughter is the one that changes the numbers everyday. She's done that for several years now. Here are our stockings, plus a bunch of my stuffed Christmas bears and snowmen. Here's a new Santa wall hanging I bought this year. Again, another shelf with Shaker pegs. Plus I love ceramic churches and houses. Here's one of the musical ones I have. This is our dollhouse. My dad made this for the girls when they were little. They've outgrown it (or so they say), so now it sits in our livingroom. As you can see, I decorated it for Christmas too. On this bookshelf is where I put our nativity (which you can see in a previous post) and one of our villages is up on top. Below is another village that sits on the buffet in the diningroom. I hope you enjoyed our decorations. Please be sure to visit BooMama to see more homes. What if the Wisemen were Wise women? My husband found this and used it in his sermon Sunday morning. I loved it so much, I wanted to share it with you. And a couple of our ladies added another one. 7. They would have made reservations ahead of time! Do you know the song, Mary Did You Know? that was written by Mark Lowry and Buddy Greene? I love this song. It has such great words. I love the thought from their song that when Mary kissed her baby, she kissed the face of God. How awesome would that be? Can you imagine what it must have been like to kiss the face of God? And some day we'll get to see Him face to face. What a time that will be! There's also a line in the song that says "This child that you delivered, will soon deliver you!" Again, what an awesome thought. 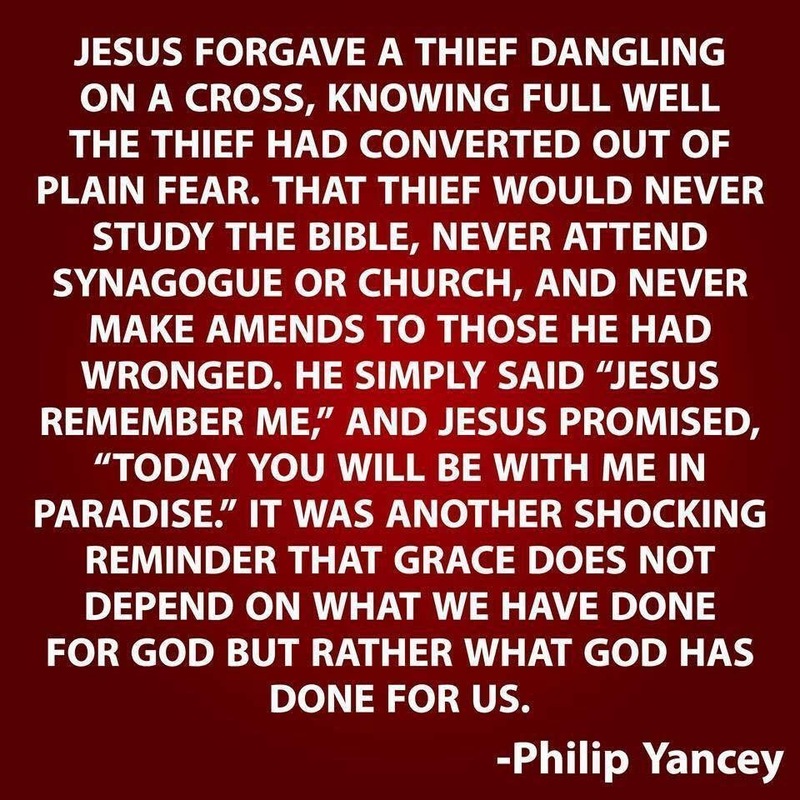 But that's just what Christ did. Through his death and resurrection, He's delivered each one of us, along with His own mother. All we have to do is believe that He is the son of God and accept Him as our Savior. My prayer this Christmas Season is that each one of us will take time to think about Jesus and what He has done for us and that we'll accept Him as Lord and Savior of our life. There is no greater gift than this! We watched "The Nativity" last night. I absolutely love this movie. I love having a visual of how things may have been when Jesus was born. I know the very first time I saw the movie when they showed the scene where the shepherds and wisemen come to see Jesus, it made me tear up. Again, let me say I love this movie. I love Mary, the mother of Jesus. I love the fact that she was such a young girl when she was visited by the angel and told that she would give birth to the Son of God, the Savior of the World. I love that she was so willing. Luke 1:38a says: "And Mary said, Behold the handmaid of the Lord; be it unto me according to thy word." My prayer is that I'll be more like Mary. That whatever the Lord asks of me, I will do. Without complaining and whining and without fear of looking foolish and without worrying about what everyone will think of me. I mean, if anyone really put themselves out there, it was Mary. But her response was "be it unto me according to thy word." What an awesome and brave person she was. "Lord, help me to hear your voice and always be willing to do whatever you ask of me." I took this picture a few weeks ago. It's of a farm close to my daughter's school. If I remember right I took it one morning before school started. I love it when you can see a little pink in the clouds. If you want to see more beautiful skies from all around the world, click on the SkyWatch Button above. I finished the book "Blink" by Ted Dekker. Very good book. It's not the type book that I normally read, but I really enjoyed it. The main character kind of reminds of Charlie on "Numbers". If you're looking for a good exciting book to read, this may be it. Now I've started reading "Twilight". I haven't gotten very far yet, so I'll keep my thoughts to myself for now. That's My World Tuesday is a fun place to visit and look at photos from around the world. Click on the above button to check out other people's Worlds. These 2 pictures are inside the Tri-County Mall in Cincinnati, OH. I love malls at Christmas Time. I've been going to this mall since I was a little girl and they have always had such beautiful decorations. Obviously Santa was taking a break when I was there. Maybe he was posting his picture for That's My World! 5 Minutes for Moms is having some fun giveaways. Click on their button on my sidebar and check them out! My youngest daughter participated in a live Nativity last night with her youth group. Thought I'd show you a couple pics from that. Isn't she about the cutest Mary you've ever seen? Sshh! Don't tell anyone, but I think Joseph and Mary may be crushin' on each other a little! See what I mean? Look at that smile! However, we went to Michaels and I got some Christmas roping to put around my village that was really pretty and 60% off. Here's a photo. Then on the way back home we stopped at some little antique Christmasy type shops we have here locally. I love they places at Christmas time, they always have such good smells and so many beautiful items. Anyway at one of them I bought 2 hand made Snowmen that are about 6 inches tall and look real old-fashioned and were on sale for $1.00!! So cute and 1 metal wire that has 10 snowmen on it to hang. It sounds weird, but it is so cute. Well gotta go take the oldest daughter to work and then on with hubby and youngest daughter to make a hospital visit and then lunch and maybe a little shopping too. This photo was taken at the entrance to Magic Kingdom at Walt Disney World in Florida this past August. Go to SkyWatch Friday by clicking on the SkyWatch buttom above to view photos of skies from all around the world. Sports - My daughter's got her 2nd basketball game tonight. They didn't do to well at their 1st game. But win or lose I love to watch them play. Fun Day - I can't wait until tomorrow! I'm taking a vacation day and going shopping and out to lunch with my sister who is on vacation this week. Planning to have a fun girls day out. I don't know where we're going yet or exactly what all we'll be doing, but it should be fun. We always have a good time together. I'll let you know tomorrow if we get any good stuff or any good deals. Dieting - yuck!! Hubby and I both are trying to lose a few pounds before the holidays. I've been up and down so much this year it's unbelievable! TV - Plan to watch Survivor tonight. Is anyone else watching that this season? Reading - I'm reading Ted Dekker's book "Blink". If you're looking for a good book to read, this is really keeping my attention. I've been reading some of your all's blogs and lately some of you have been talking about Twilight. And for sure, my girls have been talking about it. My oldest daughter has read all 4 of the books and my nephew is reading them. Seems that's all they've been talking about. So since some of you said you've been reading them and were going to go see the movie, I broke down and took my daughter's last Wednesday night. I was so tired that day and figured I'd probably fall asleep since the movie started at 9:40PM. What!?! 9:40pm. That's bedtime when you're my age (obviously not really since its almost 10:30 and I'm still up). How about it should be bedtime at my age. Anyway, I digress. I took them and they loved it. They think Edward is gorgeous and that he is the most awesome thing out there. Well, guess what? I thought the movie was pretty good too. Now, I'm not much for vampires, but it was still good. In fact, it really was a nice love story. Now lookswise, Edward is not really my cup of tea because he's so pale and has really big eyebrows. But I must say, he was very polite and sweet and knew how to treat a girl. So mom's if your teenagers want to see this, it's not too bad to watch (in my opinion anyway). It kept my attention (WooHoo, I didn't fall asleep) and the girls and I had a great time together. I told my daughter not to loan her books out again right now, because I guess I'll be reading the books as soon as I finish the book I'm reading right now (Ted Dekker's "Blink") Who knew I'd be watching and reading about vampires? If you had told me this at the beginning of the year I would've thought you were silly! I'd like to hear what some more of you all think about this movie or the books, if you've seen or read them? We had a great Thanksgiving Day and I thought I'd post a few pictures. There were 15 of us at my brother's house. The food was great but the company was even better. The above 3 photos are some candid shots of the family at the table. Below is hubby and me. Below that is my mom and dad and below that are my two girls and my 2 nephews. Below that is a photo of my brother and his wife who's home we invaded. Thanks little brother for having all of us over.